We've made it to May! I finished my spring semester of school Thursday, and I'm excited. I feel like I've been writing papers continually for 9-10 months. Actually , I have been . I need break! It's Share With You Sunday again. So, here are things I've been loving. If you have a link you'd like to submit that I'll add to this post later please click here. 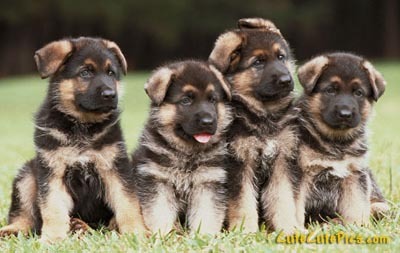 To start us out how about some cute German Shepherd puppies? Alli McBally shares with us some flakie magic. Also Known As...creates an awesome green holo. Birchbox teaches us about our signature scent. CANDY COATED TIPS makes me want want DS Original so bad I could cry. Emily's Nail Files creates one of the cutest manicures I've ever seen. Josie's Nails makes China Glaze Strawberry Fields even better. Lavender Parfait creates a chalkboard inspired manicure. Aquaheart's Obsessions reviews N.Y.C. Lip Stains. Shakeup Your Makeup shows off her gorgeous Rimmel & Milani EOTD. Penny Chic proves you can find fashionable clothes at Walmart. emiynoell83 shares with us her most used hair care products. Make-Up/Music/Money/Me shares with us her no-buy challenge.